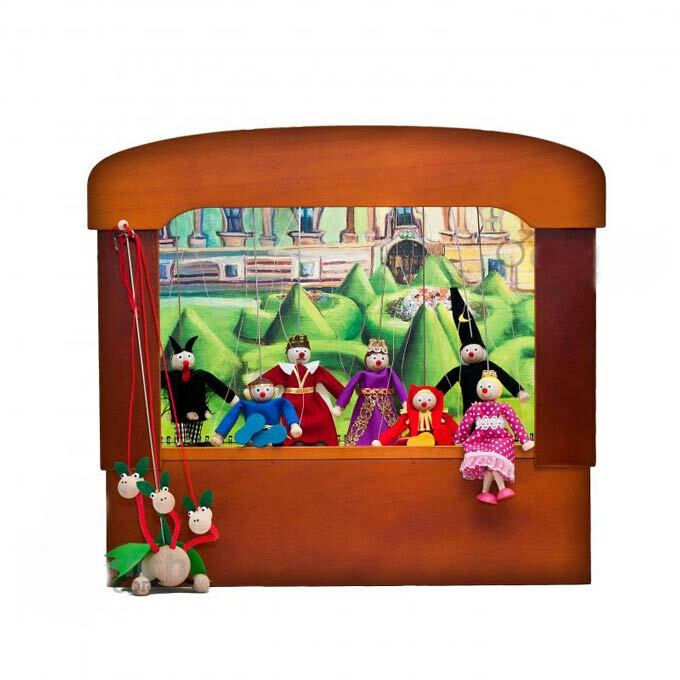 The family, retro puppets theater to buy online. 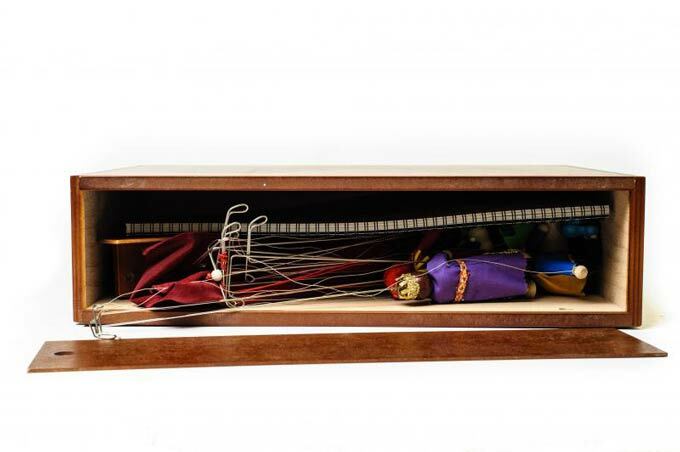 A puppet theatre consists of 8 wood marionettes, and 19 stage the proscenium curtain. 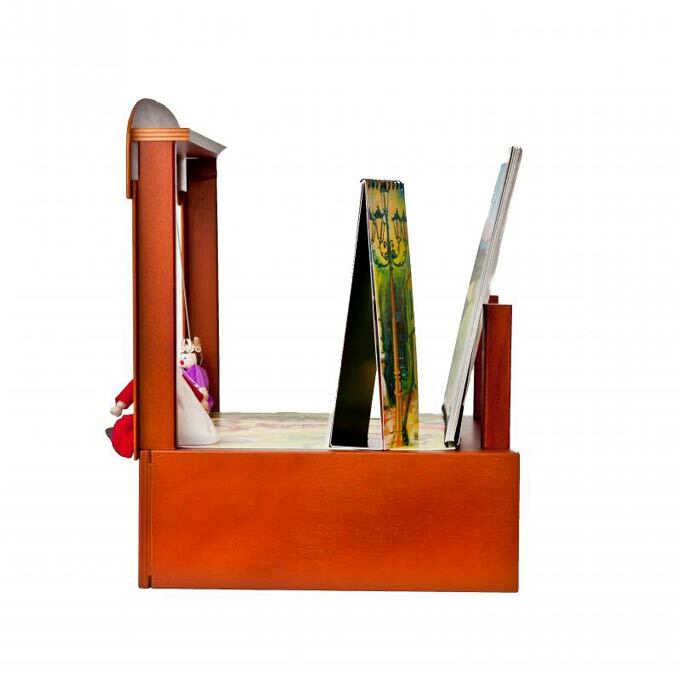 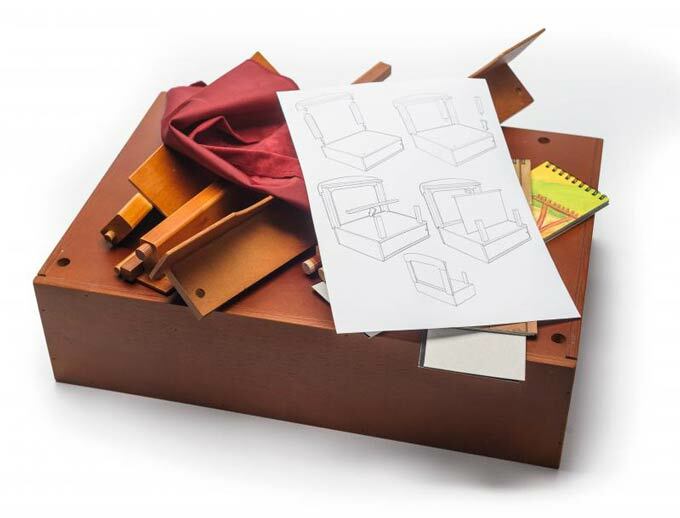 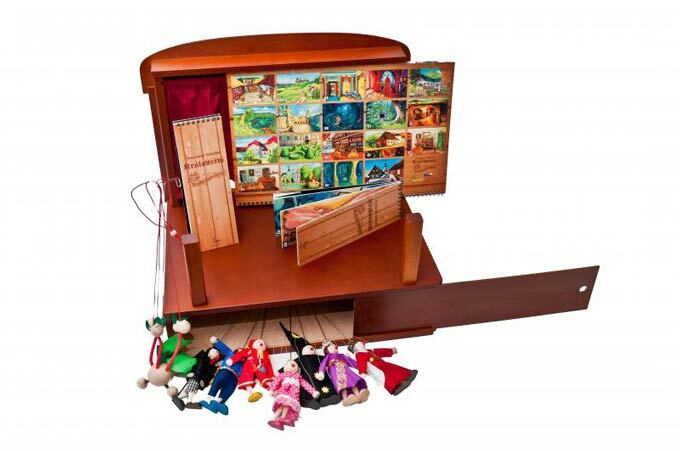 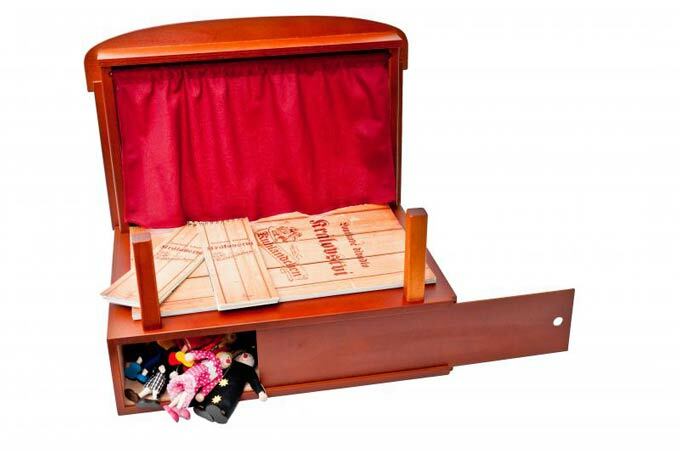 Our wooden theater marionettes is packed in a wooden box. 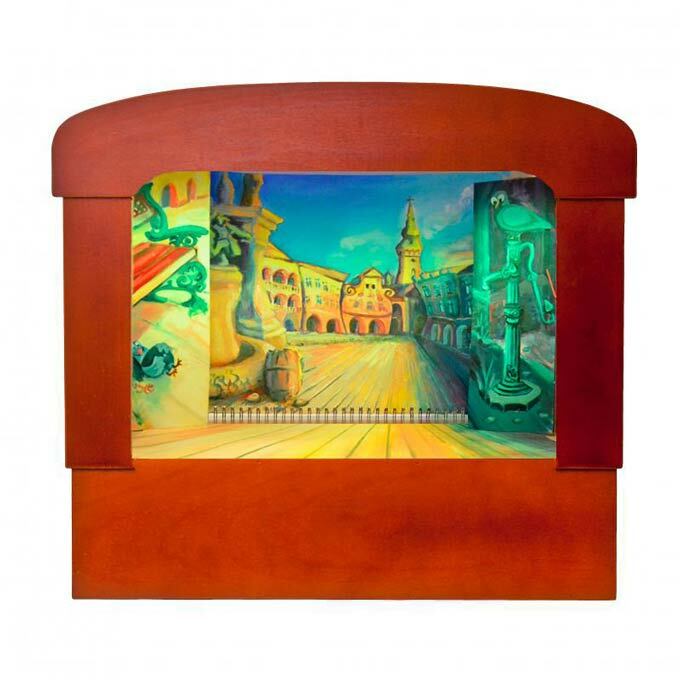 It offers children with unlimited space for imagination and fun for the whole family. 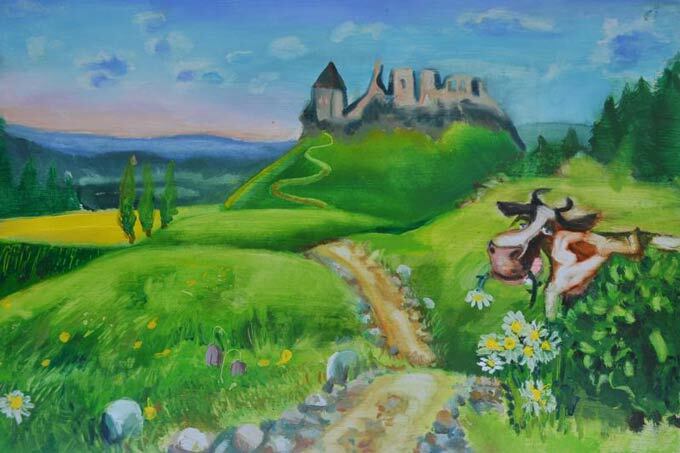 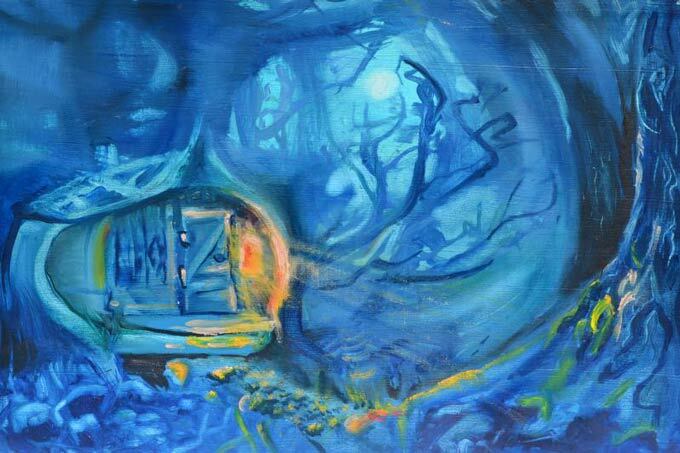 Dive with the children into the world of famous fairy tales. 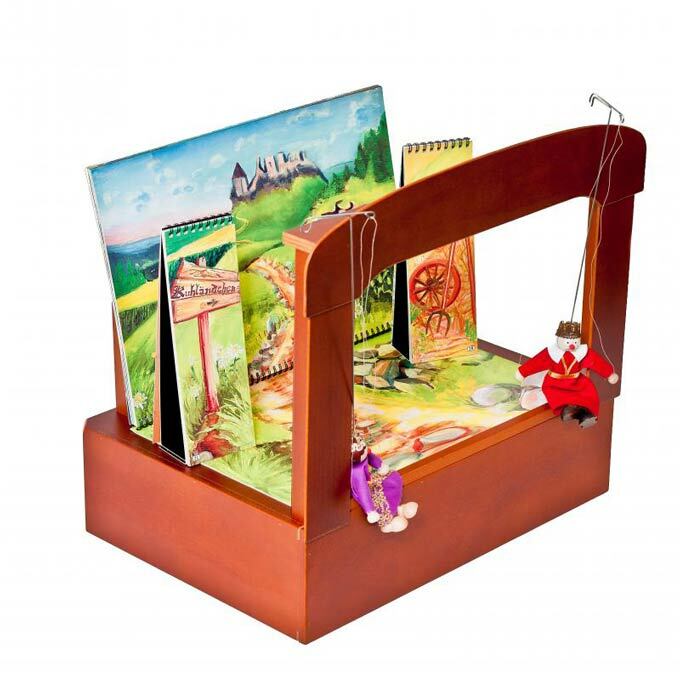 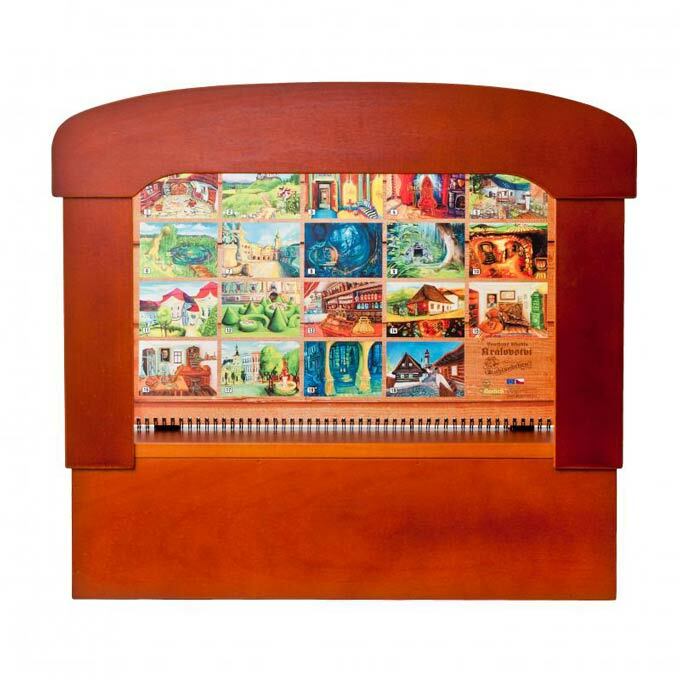 Beautiful, sophisticated, fabulous wooden puppets theater with czech marionettes individual wakes up on your children's imagination, improve memory and expressiveness. 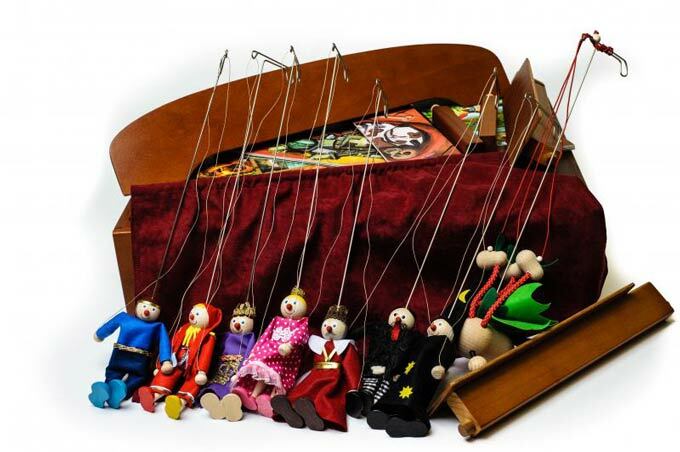 The marionettes theater is complete and ready for the screening. 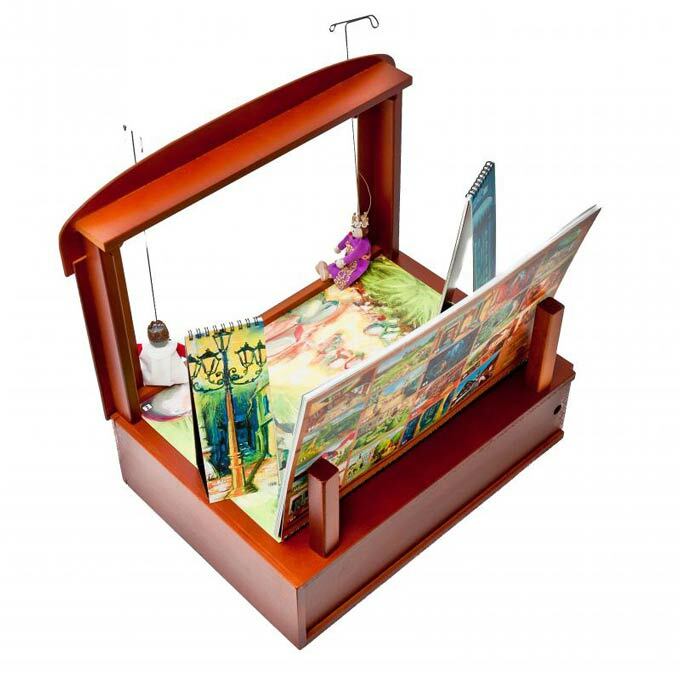 Set Content Scenes: 19 scenes and side wing royal Kuhländchen, a prozenium curtain. 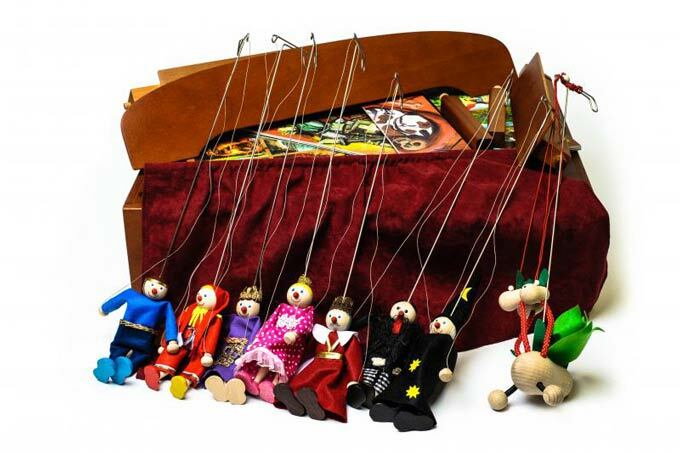 Marionettes puppets for kids: King, Queen, Prince, Princess, Devil, Dragon, Jester, Wizard. 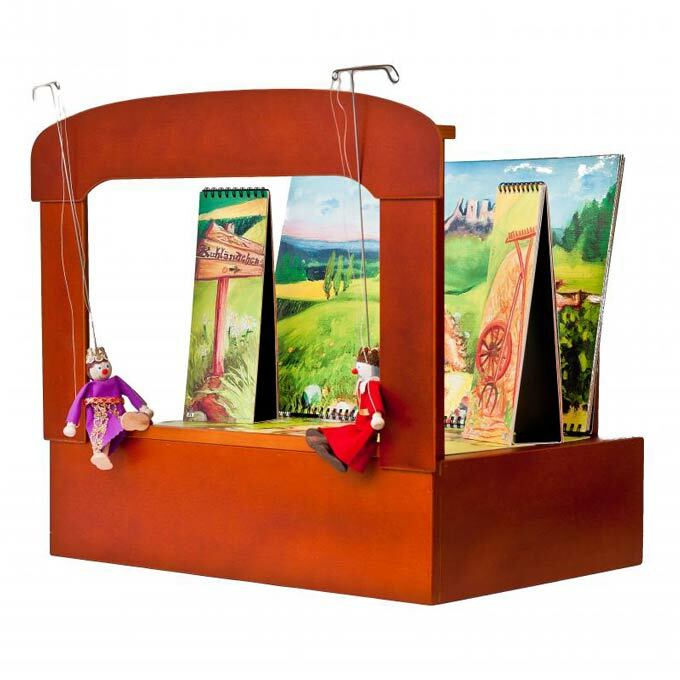 Size marionettes for puppets theatre is : 5"- 8" (12-15 cm) Wooden puppets and marionettes for sale. 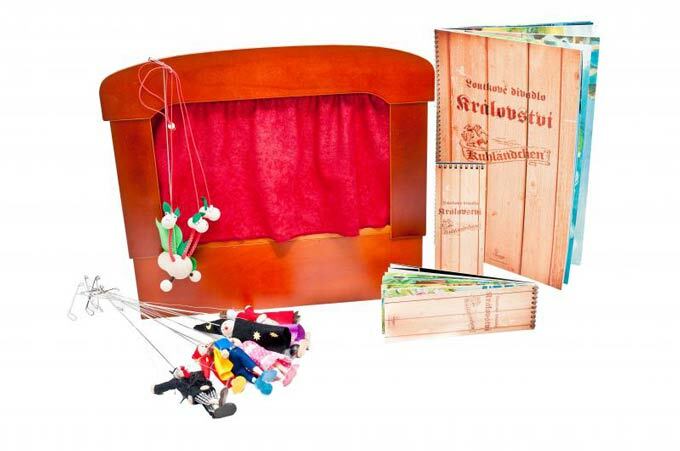 The kids puppet theatre and czech puppets marionettes buy. 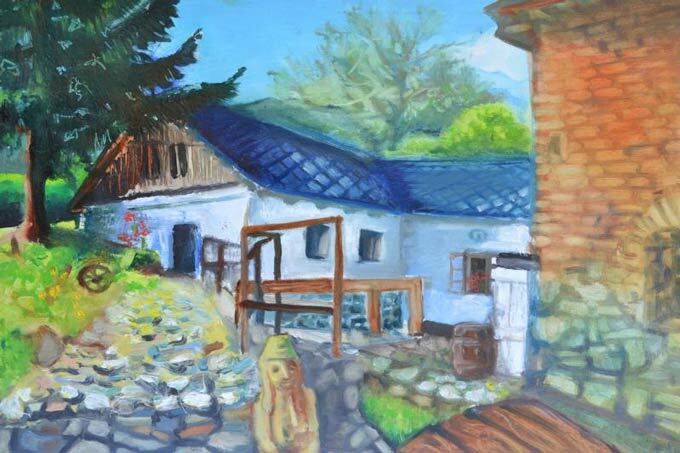 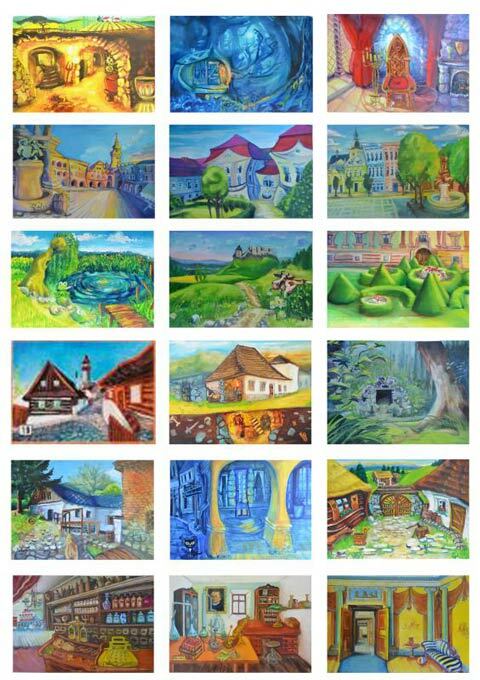 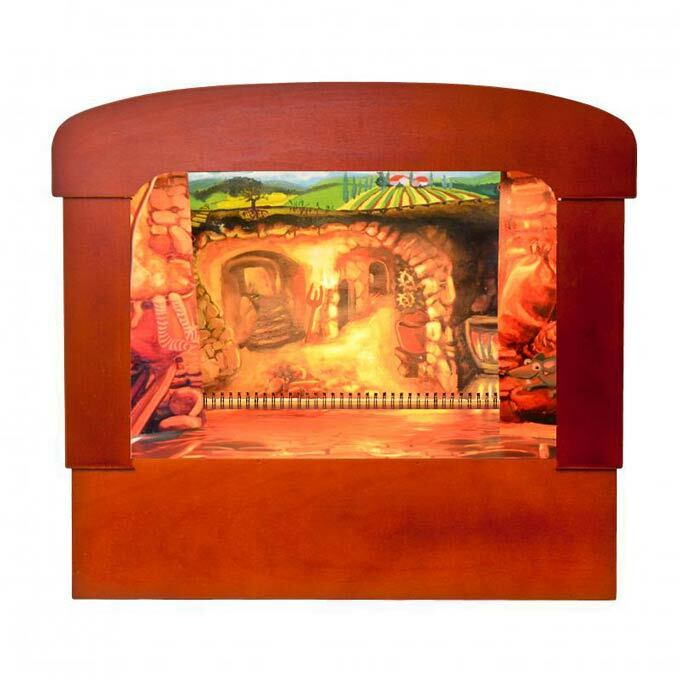 The theatre one may for puppet show for preschoolers or as home puppet theatre show for a child.